The one tool every boater should carry is a jackknife. You might choose the traditional rigger's knife, with a folding blade and a marlinespike, or you might opt for a Leatherman knife. 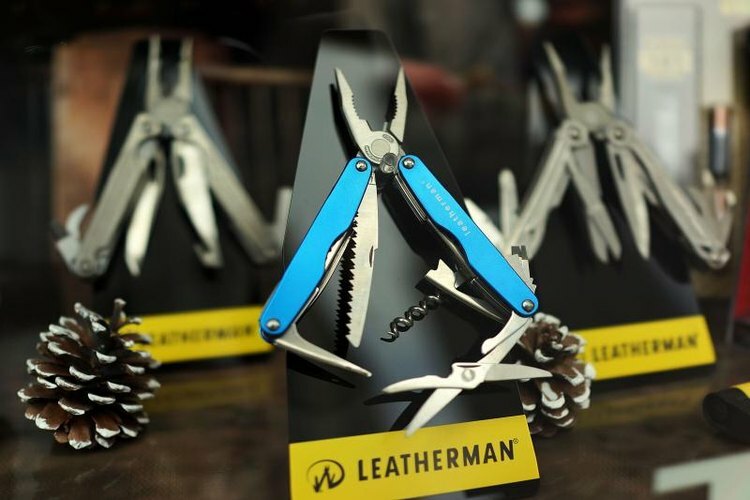 Introduced in 2007, Leatherman Tool Group's first knives were hunting knives with a folding blade and a gut hook. More than a simple folding blade, the newest Leatherman knives still hint at the idea behind the original multi-tool. The seven models of the Leatherman Crater knife all have a single, folding blade in common. Three models, the C33T, C33TX and C33SX, have two screwdrivers -- one Phillips head and one standard flat-blade -- attached. To close the knife, hold the knife by the handle, with your fingers clear of the blade's path into the handle. Press the metal blade-release tab at the bottom of the finger groove as you fold the blade toward the handle. Release the tab and push the blade until it settles into the recess in the handle. Unlike the blade, the screwdrivers don't lock. You simply fold them into the knife handle.